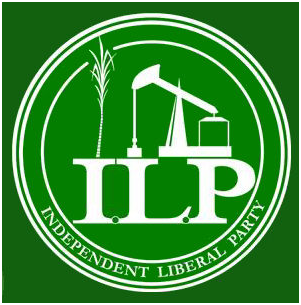 POLITICAL leader of the Independent Liberal Party (ILP) Jack Warner yesterday confirmed that the fledgling party will, despite the outcome of the July 29 Chaguanas West bye-election, contest the Local Government Election, which is constitutionally due later this year. Warner yesterday boasted that between last Friday’s launch of the party and yesterday, 6,000 applications for membership have come in. Speaking following an interfaith service at the party’s election headquarters at Caroni Savannah Road in Chaguanas yesterday, Warner predicted that the party’s membership could swell to 50,000 by the end of July. “Right now we have a little more than six thousand people who have joined since Friday and if that is not a record, I don’t know what is,” Warner said, adding, “we have had and this is important, these requests for membership have come from all over the country.” He said 4,000 requests for membership have come from within Chaguanas West and 2,000 from other parts of the country. “I don’t know yet where or what seats but I do know that we shall be contesting the Local Government election as a party and by then I hope we shall be a party within the People’s Partnership. I am hoping we can sit down and decide who shall contest where. This is my objective…as a party, we shall be contesting the local government election,” Warner said. “We have agreed that we shall fight Chaguanas West, come what may, win lose or draw, we shall contest all other elections but I don’t know what we shall do in terms of the two Tobago seats,” he added. Asked about Opposition and PNM Leader Dr Keith Rowley’s stance of a potential alliance with him, as Rowley publicly stated, “the enemy of my enemy is my friend…”, Warner said: “I don’t know what Rowley is talking about and I don’t want to dignify anything that Rowley says that is foolish. “In any event, Mrs (Kamla) Persad-Bissessar is not my enemy, so I don’t understand this ‘enemy of my enemy is my friend’ talk. I have a problem with the cabal in the UNC. I have no problem with Mrs Persad-Bissessar. I have no problem with the party itself and there are members of the party, who still of course I talk to and talk to very well,” Warner added. With rumours of five People’s Partnership MPs waiting to join his party, Warner said, “I don’t know…when the time comes, we shall see. Who wants to join, I say again, it is an open party, it’s not limited to anybody and who wants to join let them join. “By August or September the party shall organise itself and we shall hold elections of officers, but the way we are going we shall have a fantastic membership by then,” he added. Earlier, Imam Nazim Ali, in a brief address, urged those gathered to “create history” by voting for the ILP saying that the time had come to break the history of “tribal politics” in central Trinidad.